Ingrid is our oral health therapist (OHT). She is on hand to help you through any anxiety or stress you’re feeling in regards to your dental appointment. She is an expert in all aspects of dental health, and you’re in the best possible hands if you have any questions about what you can do to take better care of your teeth. Her work involves treatment, education and commitment to see a life-long change in habits and prevention of oral disease which are closely related to seemingly innocuous lifestyle habits. It is rare to see patients wanting to go back to general dentists for Hygiene/Therapy support once exposed to the skill and dedication experienced with our amazing therapists and hygienists. Ingrid is committed to providing gentle dental care, and the passion she feels for her work is evident in every appointment. She’s not interested in quick appointments, she spends time answering all your questions, allaying all your concerns and providing the education you need to enjoy lifelong dental health. 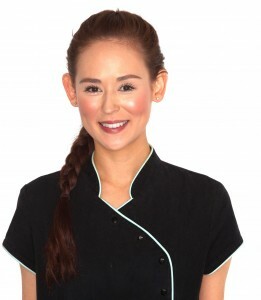 Together with the rest of our dental team, she aims to help and empower everyone in maintaining their teeth for life! Ingrid graduated with honours as an oral health therapist from the University of Melbourne in 2009. She has worked in both the public and private sector and has experience in all aspects of dentistry, including paediatric dentistry. Ingrid invests in her skills by continuing to participate in workshops, seminars and other learning opportunities. She is committed to staying ahead of the curve and giving patients best practice oral therapy. You’ll feel entirely comfortable under Ingrid’s care. She knows how to make patients feel at home, and if you suffer from any phobias or anxieties, she knows how to help you navigate those and get the therapy you need and deserve. Don’t let phobias hold you back, with Ingrid’s help a dental visit is a walk in the park.